TRANSMISSION SERVICES: Reap the benefits of Certified Authorities. Your car’s transmission will shift like new again with some expert care, trust your vehicle in our hands. Realizing you need transmission repairs: Just imagine, you pull out of your driveway and onto a busy street. You press down on the gas but your engine only revs instead of accelerating, just as you notive a car speeding up behind you in your rear view mirror. Is this a situation you want yourself in, or have experienced? This is typically not how most people realize they are in need of either transmission repairs or replacement, but it does happen. Most people notive their car isn't shifting into the next gear as smoothly or quietly as it once did, but if you do not have someone look over your transmission, then keep a close eye on your rear view mirror, because that wil be you. End your faulty transmission problems now. If your automotive service need involves your transmission, you should keep in mind that most transmission problems start small and get worse over time. Taking care of your repair early on can go a long way in saving you money. 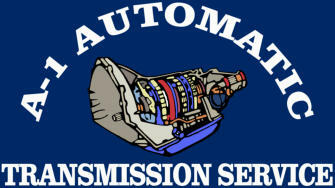 • Our transmission services include the following: • Automatic transmission repair • Electrical diagnosis • High performance and heavy duty transmission repair • Manual clutch service and repair • Manual transmission repair • Non-electric diagnosis • Shift kit installations • Transfer cases • Transmission fluid exchange • Transmission rebuild, repair, and service How our transmission service can help: First we start off with a diagnosis of your transmission problems. 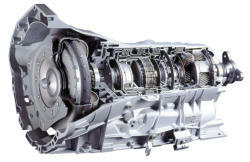 This will help us determine whether or not you need your transmission repaired or if you need it to be fully replaced. If you need transmission repairs, we can tell you waht that will entail and begin working on your transmission right away to get you back to your daily life as quickly as possible. If, on the other hand, our diagnosis shows you need a transmission replacement, we can then show you the difference between a complete rebuild and a transmission replacement where your vehicle gets a totally new transmission. You then decide which route you want to take and we will start working on your vehicle as soon as you give us the go-ahead.